The US administration has embarked upon the ultimate war crime, a Worldwide military adventure, “a long war”, which threatens the future of humanity. This military deployment of US-NATO forces is occurring in several regions of the world simultaneously, resulting in millions of civilian deaths and countless atrocities. Major military and covert intelligence operations are being undertaken simultaneously in the Middle East, Eastern Europe, sub-Saharan Africa, Central Asia and the Far East. The U.S. military agenda combines both major theatre operations as well as covert actions geared towards destabilizing sovereign states. In turn, Israel in liaison with the US, is threatening Iran with nuclear weapons. And the U.S. and its allies are threatening China and North Korea. Under a global military agenda, the actions undertaken by the Western military alliance (U.S.-NATO-Israel) in Afghanistan, Pakistan, Palestine, Iraq, Syria, Libya, Ukraine are coordinated at the highest levels of the military hierarchy. Does this historical statement apply to President Donald Trump and his European political cohorts? Moreover, the evidence amply confirms that the United States of America is a “State Sponsor of Terrorism” and that the campaign against the Islamic State is a smokescreen used by the US and its allies to justify in the eyes of public opinion its global war of conquest. Under Nuremberg the “Global War on Terrorism” is a criminal undertaking. Following in the footsteps of Nuremberg, the objective of the December 2005 Kuala Lumpur initiative led by Tun Mahathir Mohamad was to criminalize war and eventually abolish war. Let us recall the fundamental principles contained in the Kuala Lumpur Initiative to Criminalize War under the helm of Tun Dr. Mahathir Mohamad, the fourth and longest serving prime minister of Malaysia. “Killings in war are as criminal as the killings within societies in times of peace. Since killings in peace time are subject to the domestic law of crime, killings in war must likewise be subject to the international law of crimes. and against the State of Israel on charges of genocide against the people of Palestine. 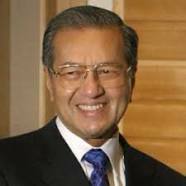 More than ever the Kuala Lumpur Initiative launched almost ten years ago in December 2005 by Tun Dr. Mahathir Mohamad should be widely understood and applied. What is at stake is the universal recognition of the value of human life, solidarity and understanding between nationalities, ethnic groups and religions, as well as respect for national sovereignty. These are preconditions for World peace. As outline in the Kuala Lumpur declaration: “peace is the essential condition for the survival and well-being of the human race”. 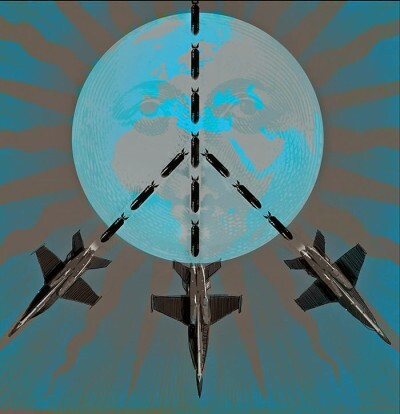 In contrast to these broad principles which define human values, the US military and financial establishment and its allies are intent upon destroying and destabilizing sovereign countries as part of an imperial agenda, through acts of war and economic plunder, the end result of which is the transformation of sovereign nations into open economic territories, under the jurisdiction of US approved proxy regimes. To no avail, since 2008, both presidents Obama and Trump have followed in the footsteps of George W. Bush. Together with America’s NATO allies, they have not only supported terrorist organizations, they have covertly supported terrorist insurgencies, waged an extensive bombing campaigns against Libya (2011), Syria, Yemen and Iraq (2014-), drone attacks and targeted assassinations against Pakistan (2004-) among other military-intelligence operations. Let us be crystal clear: Consistent with Nuremberg, the above statement applies to president Donald Trump and the heads of State and heads of government of NATO countries which endorsed the extensive carpet bombing operations directed against Libya, Syria, Yemen and Iraq, resulting in the death of countless civilians.